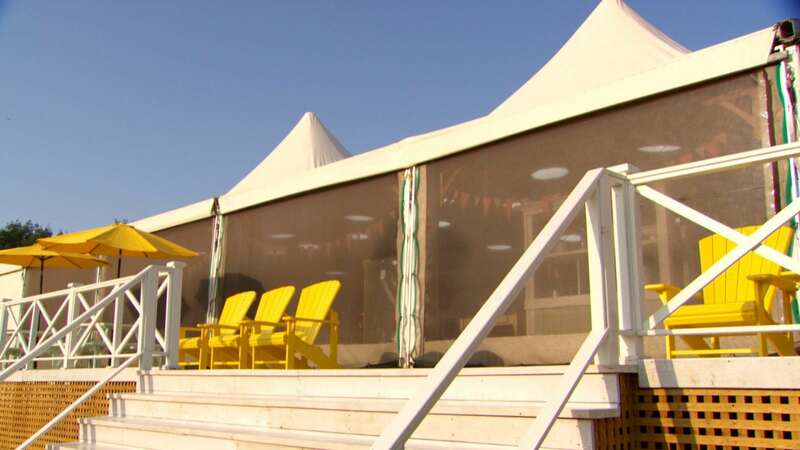 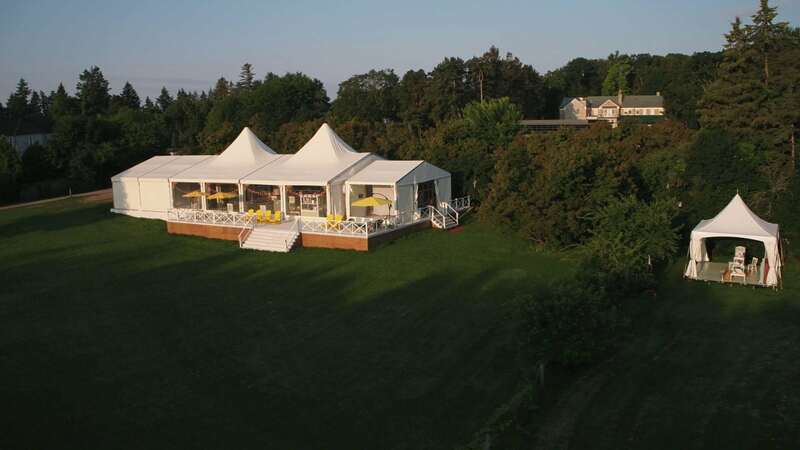 We were so thrilled when Proper Television reached out to Regal Tent about partnering to create a filming space for The Great Canadian Baking Show, a new series that will air on CBC. 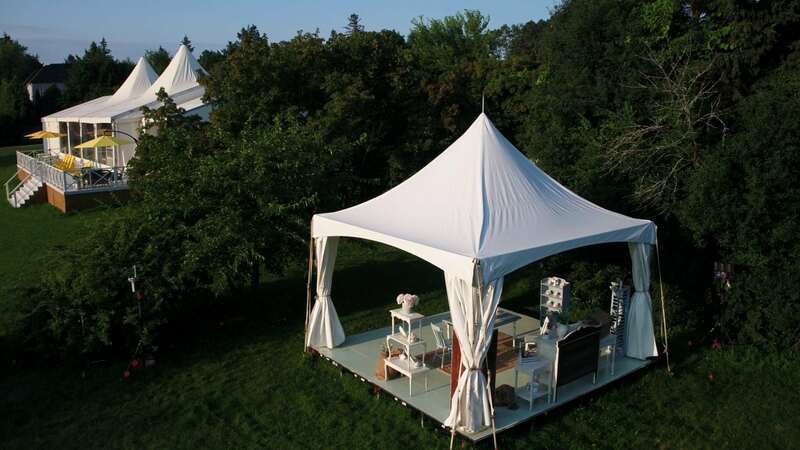 We knew right away that we’d need to think outside the box to create the show’s “iconic white tent”, so we set to work collaborating with designers to see what we could come up with! 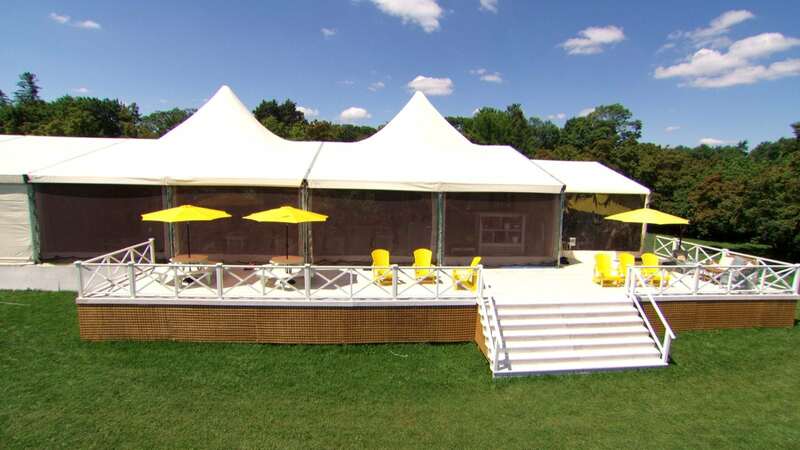 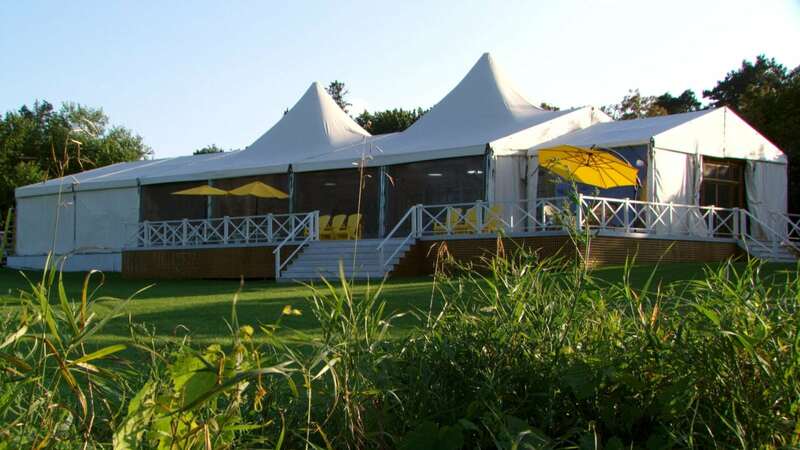 The creation of this tent was a real labour of imagination and hard work, with our crew being on site at The Canadian Film Centre for several weeks building the custom 40′ x 98′ High Peak Clearspan Tent that became the home for the show’s cast and crew over the summer. 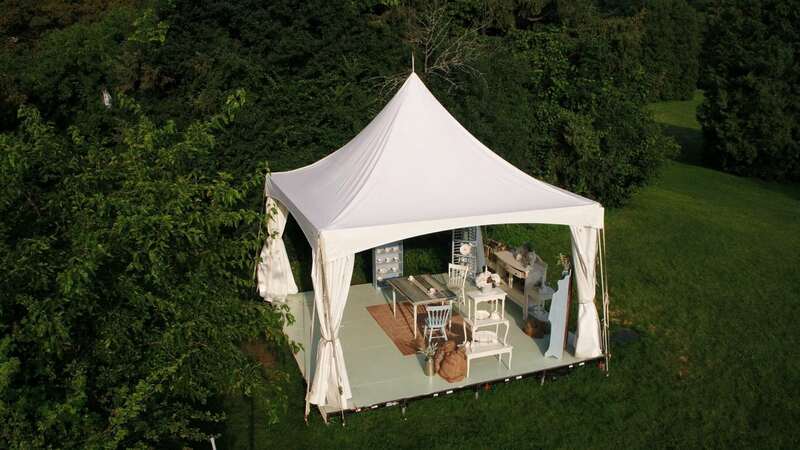 We even extended the floor outside the tent to act as outdoor patio space!